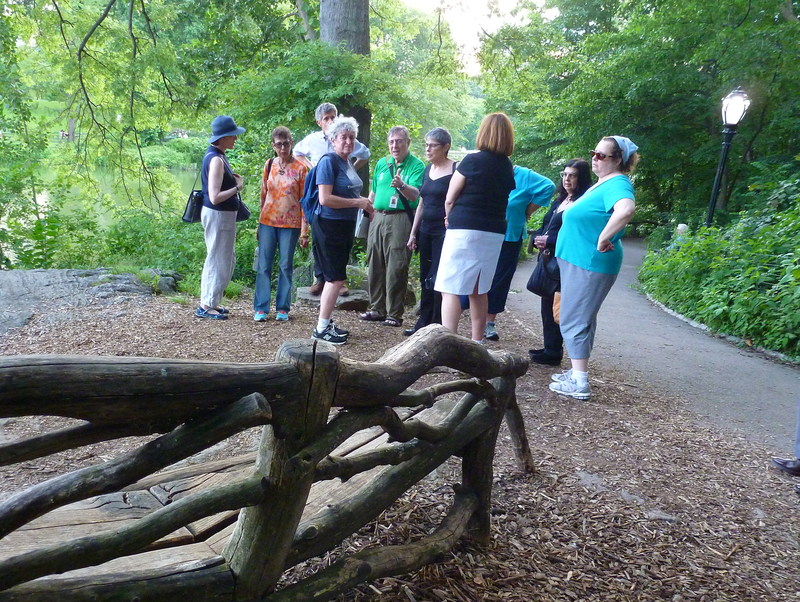 On June 23, SWINY held its third annual exclusive evening tour of Central Park. All 16 attendees — including two potential future members under age 8 — were enthusiastic and appreciative. Normally, Central Park’s popular tours, led by well-trained volunteers, are offered only in the daytime, so a private customized program is a rare opportunity. Tour leader Michael Graff, accompanied by noted geologist Dr. Sidney Horenstein (formerly of American Museum of Natural History), were our guides for two hours. 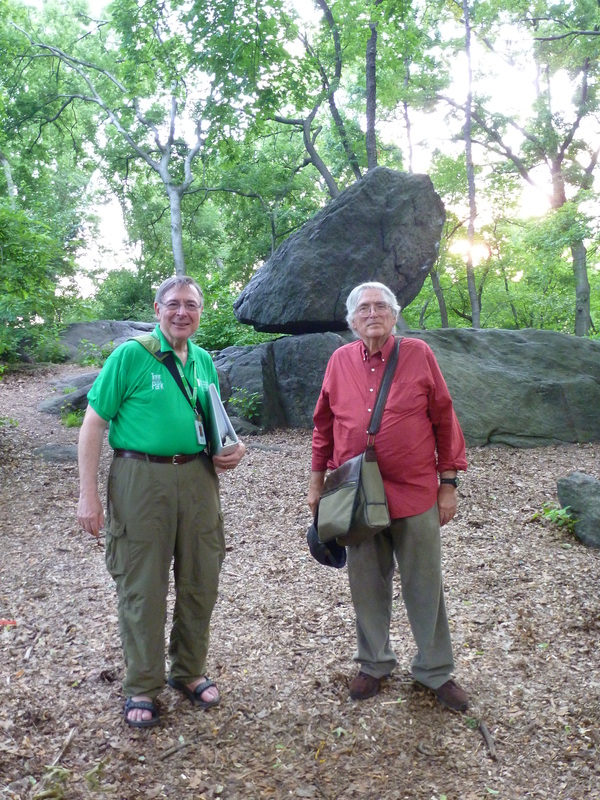 During “The Essential Central Park,” we got an in-depth look at its history, geology, flora and fauna, as well as some unsuspected factoids. 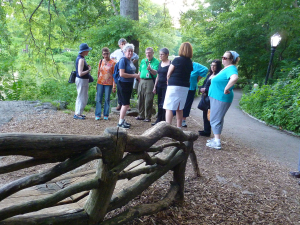 After hearing how the Park’s designers conceived, planned, and created its Lake and iconic Bethesda Terrace, we explored the shoreline, inlets, Cherry Hill, Bow Bridge and a little-known cave. Michael shared inside info about an ornithological celebrity, Pale Male, as we glimpsed his nest overlooking Central Park from an exclusive Fifth Avenue apartment building. 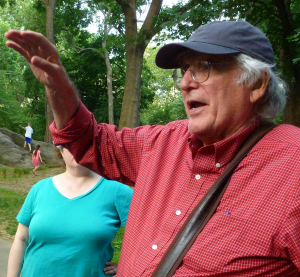 By the tour’s end, attendees were already asking about the 2015 outing!